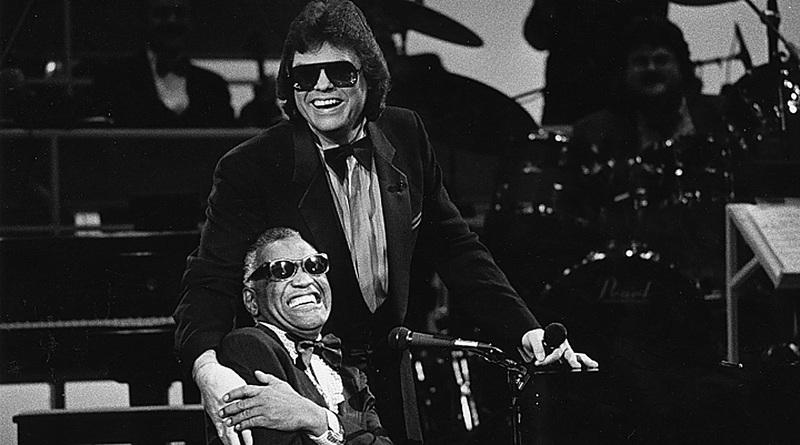 Ronnie Milsap calls Ray Charles his hero. Ronnie Milsap, one of the most influential country music idols of the 70’s and 80’s, has undoubtedly been the inspiration of many artists after him. But even this great had an idol of his own. 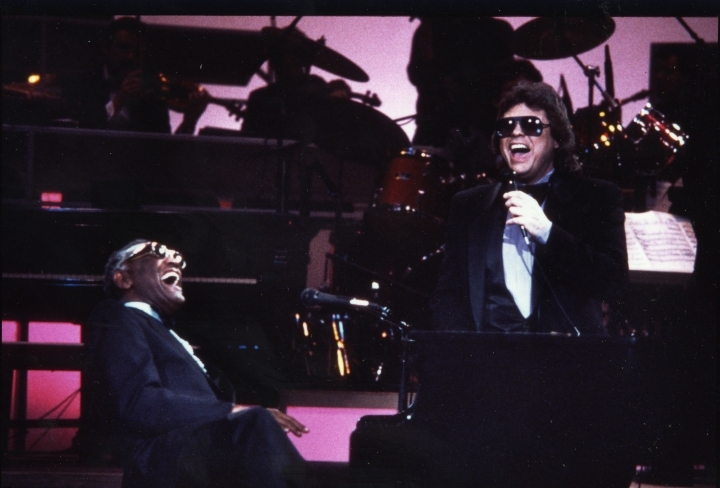 The man that Ronnie Milsap looked up to whe beginning his career was none other than Ray Charles. However, at the time young Ronnie was faced with the issue that although he had a burning passion for music, he was advised to pursue a career in law. It was Ray Charles who detoured him from this future and brought him to the music industry. He motioned to the piano in his dressing room and asked Milsap to play him something. Milsap played him three songs, and instantly Ray Charles told him that he’s destined for the music world. It was from this moment on that Milsap would consider Charles not only a role model, but a mentor and friend as well. This video from a performance at Constitutional Hall in Washington, D.C. in 1983 does a perfect job of illustrating that relationship. Both Milsap and Charles perform together for the Country Music Association’s 25th anniversary. Ronnie Milsap’s tour is currently underway, with stops all across the U.S. until May 5, 2017. Share this with other classic country fans!